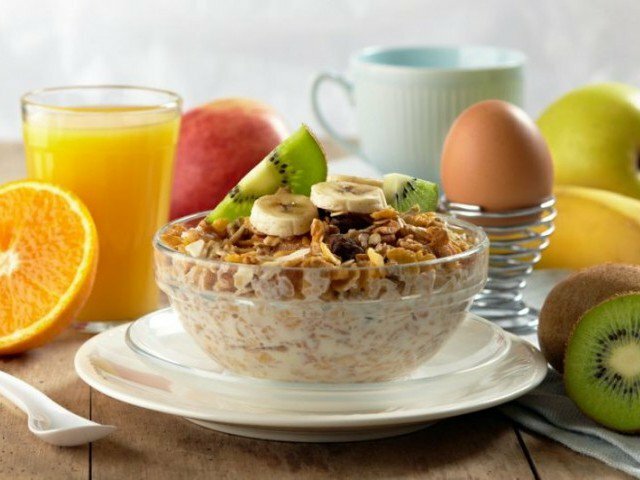 In the morning, the most delicious foods are cheese omelettes, doughnuts and hash browns but most of us know that these buttery and sugary foods are not the best ones to eat at this time of the day. Apart from these foods, there are several others also that should be avoided in the morning as they provide very little nutrition and it resulted in eating of junk food later due to feeling of hunger. Following are few such foods that should not be taken if you want to stay healthy. Most of the people will not accept it as a bad morning food but there is a reason behind this suggestion. It is easy to prepare but most of the cereals have less nutritional value and high in sugar. You will soon feel hungry in the absence of fibers and proteins in the morning breakfast that will result in increase of the weight due to later consumption of junk and fatty food. You better use overnight oats instead of normally used grocery cereals. These will keep you full the whole day as they are very healthy. But if you want to use cereals then choose the one with less than 10 grams of sugar and more than 5 grams of fiber in a serving. Important minerals, vitamins and antioxidants are present in the vegetables present in green juices. But due to the fruits used in them for flavor, these green juices are also high in sugar. These are also low in protein and fiber. If you want to use green juices in the start of your day then use the one with low sugars and also use others foods like eggs, brown bread, yogurt etc. with this juice. There is lot of difference between natural and flavored yogurt. This flavored yogurt has same amount of sugar as it is present in croissant which you should avoid to become smart. Few researchers also claim that you can gain weight if you totally skip healthy fat. Therefore, it is better to use plain yogurt either full fat or low fat as both these types are necessary for good health. You can make this healthy yogurt sweet with the addition of fruit, honey or maple syrup. At grocery stores, most of the oatmeal brands are not original as these mixed oatmeal are usually made of instant oatmeal that are high in sugars and low in fiber as compared to steel-cut oats. If it is not possible to get regular oatmeal then you can make them at home also and they will be high in fiber, low in sugar and also quickly prepared. You can miss a good breakfast even with the best bread if the fake butter is used on the slice of the bread. Trans fats are present in most of the margarines and butter spreads while these trans fat increases the threat for heart diseases and diabetes as they raise bad cholesterol and lower good cholesterol. This meal is also devoid of vegetables, fruits and proteins. If you want to make the toast part of your breakfast then use it with either real butter or a vegetable omelette. Coffee is a good drink but it can’t be used in place of a proper breakfast food. You will not feel hunger for sometime due to the caffeine in this drink but soon you will be craving for snacks that will be harmful. Consume a healthy meal along with coffee. If you are not feeling hungry immediately then you can use small sandwich or fruit later in the day after consuming coffee in the morning.